Getting started with The Zendesk Suite requires understanding what omnichannel customer support is, creating a deployment strategy, setting up channels, and then rolling out channels to your agents and customers. This article is a high-level overview about getting started with The Suite and is intended for administrators. Deploying The Suite requires some planning. You need to think about both your overall omnichannel customer support strategy and your deployment strategy. The Suite is an omnichannel customer support solution. Omnichannel customer support is a customer support strategy that seamlessly brings multiple support channels together for customers, agents, and admins. The root word omnis means “all” in Latin. Traditionally, companies use a multichannel support strategy—they try to make themselves accessible through the communication channels that their customers use (for example, email, phone, text, chat, and social messaging) using a variety of siloed tools and technologies. This results in different channels being deployed over time, but in a manner that results in a less than ideal experience for everyone involved. Customers Customers often have to repeat themselves over and over, or they are passed from one agent to the next because they switched channels. Agents Agents spend time navigating through multiple interfaces, leading to inefficiencies and long handle times. Admins Admins struggle to get a sense of what’s happening across channels. They struggle with a fragmented purchase and deployment process. Customers Customers can start a conversation in one channel and finish it in another without having to repeat themselves. Agents Agents have a clear view of customer behind the ticket, including their history and preferences. Admins Admins can get a sense of what’s happening across channels with regards to ticket volumes, handle times, and agent utilization. When planning for omnichannel customer support, think about your current customer support strategy, and identify the pain points that your users (customers, agents, and admins) are currently experiencing. Do some of your pain points match the ones mentioned in the table above? Do you have any others? Think about what you need to do to “bring multiple support channels together” so that everyone involved has the best experience possible. Your goals might be to increase customer satisfaction, reduce agent turnover, or decrease resolution time. What kind of experience do you want to deliver to customers? What are your customer support goals? What types of support matter most to your customer? Is there a particular channel that they tend to use and prefer? How does your product affect your support strategy? For example, is your product simple enough that you can deflect a large percent of questions away from agents by setting up a Help Center? Or is it something technical or complex and your customers often need to talk to someone to resolve their problems? Can agents cover multiple channels or are they specialized? When planning your deployment strategy, think about where you are now and where you want to be in the future. Remember that you need to create a specific, clear plan about how to roll out channels to your agents and customers. You might need to involve different people at your company to answer your questions. Collecting information is a very important part of planning your deployment because it helps you develop a realistic timeline and avoid mistakes. Once you have a deployment strategy, it’s a good idea to have key stakeholders sign-off on your plan, before you move forward. What are your most popular channels? How do you get most of your tickets? Emails, phone calls, or some other channel? What is your ideal mix of channels? In what ways do you provide reactive and proactive support? Is your customer support currently outsourced? Are you are bringing it in-house for the first time? Do you have any systems that you want to stop using? How do you plan to migrate information from those systems? Do you need a third party to help you with planning and deployment? Do you need to create an internal change management committee? How do you staff channels? Are agents responsible for managing multiple channels at once? What is your workflow for channel switching and follow up? How do you train your agents? Do you use fee-based training courses? Do you train your agents yourself? Do you know where to find webinars and other resources that may be useful? There are a few things that make rolling out The Suite to your customers a little bit easier on you. You’ll need to start with Support. After that, it’s a good idea to set up Guide. We recommend setting up a Guide Help Center right away, so that at the very least, you can start collecting undocumented, internal knowledge from your agents. A Help Center can help deflect tickets away from your agents and allows them to focus their attention on more complicated support requests. If you don’t have a set of documentation yet, don’t let that stop you. Once you have Guide set up, you can leverage knowledge from your agents to create articles and, if you need to, you can always improve the content later on. For more information, scroll down to Setting up and rolling out Zendesk Guide. You’ll probably want to make yourself fully available over live channels like Chat and Talk later because they require live agents that are on-call and that can respond right away to customer requests. Instead, start by being extremely targeted about how you offer live channels. Start by using phone to make outbound phone calls on particularly tricky tickets, for example. Or start by offering proactive Chat on certain key points in your customer journey. This gives you time to determine if you have enough staff, and to estimate things like your average number of calls, average length of calls, and how much time agents need after calls to wrap things up. When you’re ready, you can do advanced configuration and full rollout of Talk and Chat. Learn about each product in The Suite. Set up The Suite products in a way that makes sense for your company. Train agents to use The Suite products. Test your setup before making channels live for your customers. If you are a new customer starting from scratch, or bringing your customer support in-house for the first time (vs. outsourced customer support). The options you want to configure initially. Now that you’re done with planning, you're ready to start setting up your Zendesk products. There are many possible ways to set up each product and you’ll need to decide which things you want to do before you roll out the products to your agents and customers. You can easily switch from one Zendesk product to another using the product tray. For more information, see Switching among Zendesk products. When you buy The Suite, the pricing is different, but the products are the same. They don’t behave any differently. You are buying a solution that you can use to create an omnichannel customer experience, but it doesn’t mean that you’re automatically set up for omnichannel customer support. You still need to think about how to use the products together, in a way that makes sense for your business and customers. The main thing you need to think about is, “where do you want tickets to go?” Ticket workflow is very important. Think about your ticket workflows, and think about using your Zendesk products in a combined way. Your customers want to be able to have a conversation with you about their problems and have a seamless experience, but in order for that to happen you need to do certain things. Let’s say that you want to set up groups and business rules in Support to help you manage Talk calls received outside of business hours. First, you need to create groups of agents to respond to calls. Then, you create business rules to route tickets to those groups. 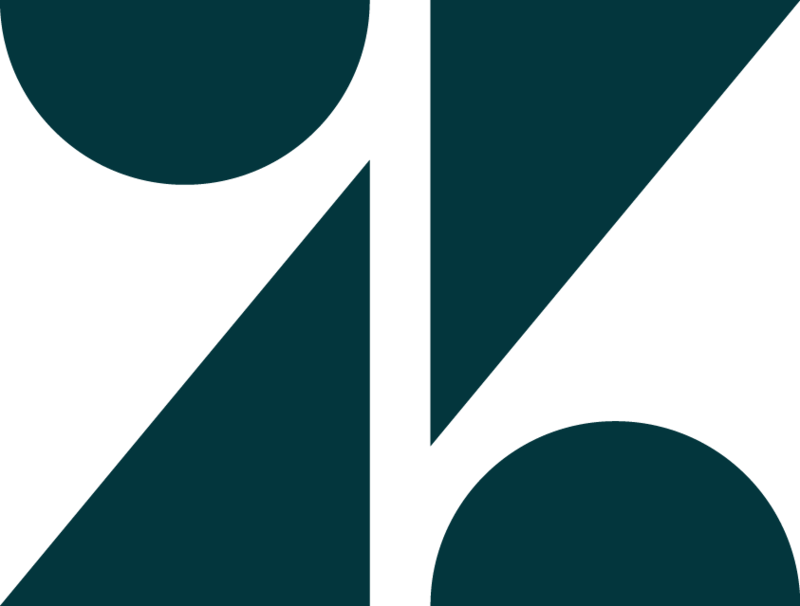 This section includes information, ideas, and suggestions that may be useful as you start thinking about how to use Zendesk products in a combined way and how give customers the best possible experience. You don’t need to add agents and administrators manually to each of the different products in The Suite. You add them once to Support, and from there you can enable the other Suite products. This is done from the agent’s profile. For example, use the toggle to enable Chat and Talk. The Suite Professional From the agent’s profile, choose Manager from the Guide drop-down list. For complete instructions, see Giving agents Guide Manager permissions. The Suite Enterprise With Enterprise, you can create custom roles and include Guide permissions in that role. For example, open the role and then, in the Guide section, select the Can manage Guide check box. For complete instructions, see Giving agents in custom roles Guide Manager permissions (Enterprise). You can bulk import agents to Support using a CSV file as described in Bulk importing users. However, there’s currently no way to enable agents for Talk or Chat when using this method. So, when using The Suite, you can bulk import the agents to Support, but then you have to enable them for other products using the Support interface. This issue also applies to importing agents through Zendesk API. If you want to enable multiple agents for Talk at one time, you can do that by following the instructions for editing Talk permissions in bulk found in Determining which agents can use Zendesk Talk (Talk Team, Professional, and Enterprise). If you have Chat-only agents in-place and are buying The Suite, make sure that you understand how Chat-only agents are affected by your purchase. Important: Chat-only agents that are given a Suite seat convert to agent (with Suite Professional) or legacy agent (with Suite Enterprise). For complete details, see Suite seats and Chat-only agents. Zendesk products include a number of user roles that are key to managing the people who generate support requests and those who resolve them. Support Enterprise Legacy Agent, Light Agent (add-on required), Staff, Team Leader, Advisor, End User Support light agents cannot be Guide managers, chat owners, administrators, and agents, or Talk agents. Note: Light agents are only available with the Collaboration add-on (see About add-ons (Professional and Enterprise). Chat Owner, Administrator, Agent, [Custom roles], Visitor Support administrators are Guide managers by default. Support agents can also be Guide managers. If using custom roles in Support, the custom role contains a Help Center role. If your Support plan does not include custom roles, the Support role has no impact on the Help Center role. On these plans, the Help Center role is a setting on the user profile. Talk Agent, Admin, Supervisor/Manager, End user Incoming callers are Support end users. A Talk admin may also be the Support admin. For more information about roles in Chat, see Understanding the default user roles in Zendesk Chat. For more information about roles in Talk, see Setting permissions for which agents can use Talk (Enterprise only). Use automations and triggers, which are types of predefined actions called business rules, to automatically route tickets. The key thing to keep in mind about these features (their key difference) is that automations are time-based and triggers are event-based. What that means is that automations execute, or fire, every hour (although not necessarily at exactly the same time every hour). Triggers, on the other hand, execute, or fire, when the ticket is created and every time it is updated. Also, be aware that Support triggers are not the same as Chat triggers. When you buy The Suite, you might increase the number of channels that you have to manage. If that’s the case, features that automatically route tickets become very important. For example, you now have tickets coming to and from Talk, Chat, and Guide to Support, and you need make sure they go to the right place. Triggers can result in a lot of email, so when you add a new channel, make sure that you test the result from an end-user perspective and that you’re happy with the experience. You may want to deactivate default Support triggers and replace them with custom triggers so that end-users are not bombarded with unnecessary or poorly timed emails (see Support default triggers). If Notify requestor received request (a default trigger) is active and a customer leaves a Talk voicemail during non-operating hours, a Support ticket is generated and the customer receives an email saying that their request was received. You might not want to send that email. Customers like it when you reply from the channel they choose for communication. Let’s say that your company tries to respond to customers through the channel they use to request help, whenever possible. You have a policy or practice that says when a customer contacts you by phone, you try to reach them two to three times by phone before resorting to an email. If this is the case, you need to deactivate the Notify requestor received request trigger so that the email is not sent, and consider using a custom trigger instead. Use Macros and shortcuts to reduce or eliminate time spent on simple, repetitive tasks. Keep in mind that macros and shortcuts aren’t the same thing, and that you can’t sync them. They are completely separate features. You create macros in Support and shortcuts in Chat. You can’t use macros from Support in the other Suite products, and you can’t use shortcuts from Chat in the other Suite products. Also, there’s more than one types of shortcut in Chat. You can use conversation shortcuts to add common phrases such as “Hi. Do you need some help?” to a chat. If you are looking for shortcuts to help you navigate the Chat interface, use keyboard shortcuts instead. A Service Level Agreement, or SLA, is an agreed upon measure of the average response and resolution times that your support team delivers to your customers. Providing support based on service levels ensures that you're delivering measured and predictable service. It also provides greater visibility when problems arise. Support SLA policies don’t apply to live channels such as Chat or Talk because the service targets are different. For example, let’s say that your company goal is to answer chats within 60 seconds and you want to know how well you‘re doing. You need to use Insights to create a custom report, instead of using a SLA policy. For more information, see Defining and using SLA policies (Professional and Enterprise). You can create groups in Support, and departments in Chat. In Support, groups collect agents together based on criteria those agents have in common. Groups can only contain agents; no end-users can be included. All agents must be assigned to at least one group, but they can be members of more than one. For more information about groups, see Creating, managing, and using groups. In Chat, departments are used by larger companies to organize support agents that respond to chats to more efficiently direct visitors to an agent who can help them. For more information, see Creating agents and departments. Groups in Support don't have to correspond to departments in Chat. For example, if you create a group in Support called Legal, it does not automatically create a department in Chat called Legal. You can choose to give groups and departments the same names, if that suits your needs, or you can use them for different purposes, which is common. You can apply tags to tickets, users, and organizations in Support. Tags are simply words, or combinations of words, you can use to add more context to tickets and topics (see Using tags). You can also create Chat-specific tags and use them in Support. You must predefine Chat tags from the Chat dashboard first (go to Settings > Account > Chat Tags). If the Chat tag isn't predefined, then an error appears when agents try to apply them from Support (see Understanding different types of tags in Chat and Adding tags to chat sessions). It can be helpful to develop an internal policy about how your company uses tags. We recommend doing this because it can be problematic to have multiple similar but different tags if you use business rules to route tickets based on tags. Agents can add any new tags that they want. Without a set policy, you may end up with a lot of different tags over time. You can’t restrict the ability to add tags, so you need to curate tags in other ways. For example, sometimes people create an internal list of approved tags and ask that agents use only the tags that are on the list. The list can be kept in a common location like SharePoint, Google Drive, or on a wiki where everyone can access it. Business hours and operating hours are an important part of managing customer expectations when you are not available to provide immediate help. You’ll need to have a workflow in place for following up with customers, regardless of when they contact you. If you don't provide 24/7 support to your customers, you can use business hours in Support to acknowledge your availability. This gives customers a better sense of when they can expect a personal response to their support requests. For more information, see Setting your schedule with business hours and holidays. After you create your schedule in Support, you can assign a schedule to a phone number in Talk. On The Suite Professional plan, you can set only one schedule. On The Suite Enterprise plan, you can set multiple schedules. Calls are routed to available agents based on your scheduled business hours. For more information, see Routing calls based on business hours (Talk Team, Professional, and Enterprise). In Chat, business hours are called operating hours and you can use them to set a schedule for when agents appear online. Any schedules you create in Zendesk Support will not transfer over to Zendesk Chat. For more information, see Creating a schedule with operating hours (Professional and Enterprise) (Chat). All of the Zendesk products are designed to work with Support, rather than by themselves as standalone products. So, you’ll want to set up Support first. Get started with Zendesk—Add groups, create and edit user roles, create business schedules, and create user fields. Create your brand—add support addresses, create custom ticket fields, create ticket forms, create organization fields, import organizations, and set up the Web Widget. Configure admin settings—Configure security settings, add apps from the Marketplace, set up third party integrations, and configure single sign-on. Create your workflow—Create triggers, automations, SLAs, agent views, and agent macros. Build your brand—Customize your Help Center, create content for your help center, create a community for end-users, customize your domain, add your Facebook page and Twitter account. For more information and links to articles on these subjects, see the Launch guide for Zendesk Suite products. For more ideas about how to get started with Support, see the Getting Started Guide for Zendesk Support. We recommend setting up a Guide Help Center right away so that, at the very least, you can start collecting undocumented, internal knowledge from your agents. The Knowledge Capture app can help you with this. If you don’t feel ready to make information public, that’s not a problem. You can make articles internal-only while you build a collection of articles. In some cases, setting up Help Center takes longer. This may be the case if you are creating all of your content from scratch, are moving a large set of existing content into Help Center, or if you want to customize your Help Center instead of using default theme. For more information about getting started with Zendesk Guide, see the Getting Started Guide for Zendesk Guide. For some good ideas on how to plan your guide, see The data-driven path to building a great help center. Note: You can use the Knowledge Capture dashboard to analyze your Knowledge Capture events and ticket activity. You must have the Knowledge Capture app installed in Support. For more information, see Analyzing your Knowledge Capture activity (Guide Professional). One of the most popular channels, and a favorite with customers, is live chat. Your customers can either initiate a new chat session and create a new support request or chat about one of their existing unsolved tickets. Agents can also proactively start a chat with customers. The entire chat conversation between the agent and the customer is captured as a ticket in your Zendesk Support instance (or as an update to an existing ticket). You’ll need to set up Chat in Support using the Chat integration app. 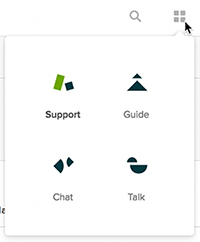 For more information, see Setting up Zendesk Chat in Zendesk Support. For more ideas about how to get started with Chat, see the Getting Started with Zendesk Chat. Even in the age of email, social media, and whatever new channel is just around the corner, sometimes customers prefer to use the phone for certain conversations. Voice conveys tone and emotion, so customers may prefer it for sensitive or urgent issues. Whether it’s to resolve complex support issues or to receive personalized service, many people appreciate companies that make the investment in providing quality support over the phone. When rolling out The Suite to your customers, think about how your customers get your contact information. Do they do a general internet search that brings them to your website or Help Center? Once they are there, do they search for a support email or phone number? Where do you put your contact information? Is it on printed materials such as receipts and product packaging too? The reason this matters is because customers often start a conversation in one channel and finish it in another, starting with channels that they are most comfortable with and that they find the most convenient. You want to make it as easy as possible for them to switch channels, especially from your website or Help Center. Another important consideration is when to make channels available and for whom. Limiting availability at first can help you to gauge demand, training, and staffing needs to ensure a responsive customer experience. The Web Widget is an important tool for providing your customers with an omnichannel customer support experience. You can add it to any of your web properties to allow your customers to get quick access to all of the different forms of support that you offer. There are a lot of customization options, but here’s an example of what it can look like. This Web Widget does several things from a single place. It gives the customer access to knowledge base articles. It allows them to request to talk to an agent, to chat immediately with an agent online, or to fill in a form about their problem and be contacted later. Note: If you add Chat to the Web Widget, turn off the Chat widget described in Customizing the Chat widget. You don’t need both of these widgets. The Web Widget is preferable since it allows customers to access multiple channels from the same place. You can provide the same embedded customer support in an Android or iOS app. For more information, see Embedding customer service in mobile apps with the Support SDK. For more information, see the Develop Help Center.